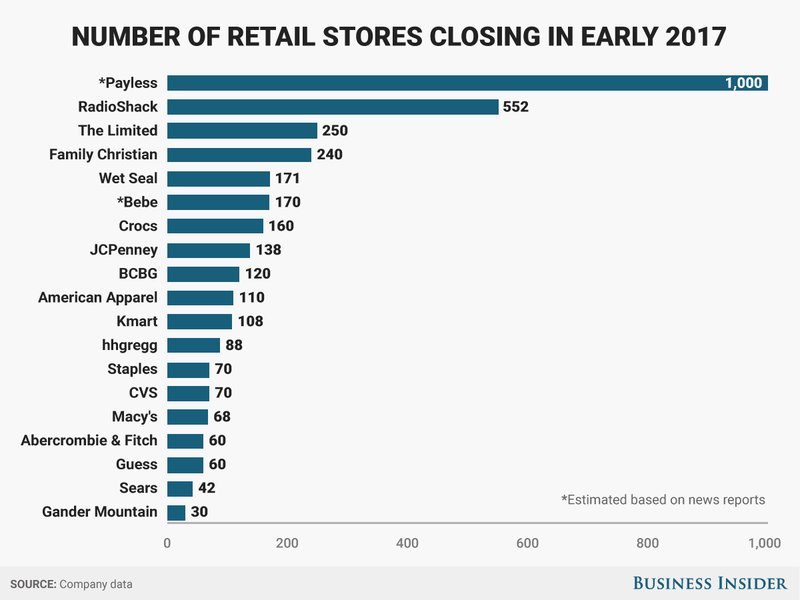 This seems insane to me - Payless is going to close 1,000 stores. There's a lot of ink spilled on the impact of "the cloud" to the DBA, but ultimately, if you knew what motivates people to buy shoes, one hopes that one could find a job using that knowledge as either a transferable skill or a direct application, such as marketing director for a shoe company. 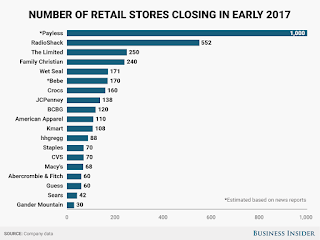 I would suggest this is that same pattern that has always been - if you're good at something with a business application and committed to lifelong learning and growth, one industry (retail) declining just means the growth and opportunities have a new name, not that they've gone away.